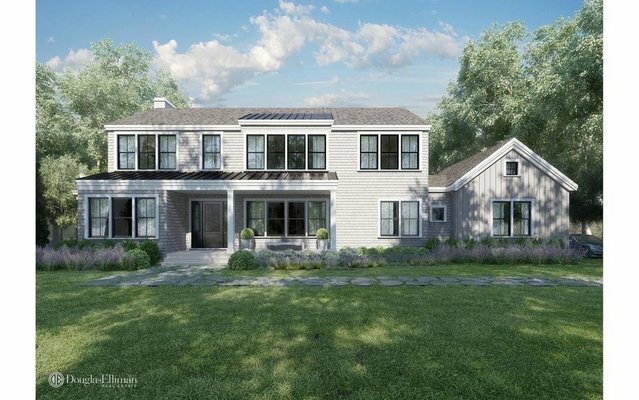 Located in the desirable Southampton Shores waterfront beach community, this exceptional four bedroom, six bath home will be completed in the summer of 2019. The 4,000 +/- sq. ft. residence will boast a spacious open floor plan and attached two car garage. Design enhances the seamless flow between the spaces occupying the first floor is to accommodate casual and formal entertainment needs effortlessly. Upstairs a luxury master suite is accompanied by three additional en-suite bedrooms and a laundry area. The outside entertaining spaces flows perfectly from the living space of the house, and include an outdoor fireplace and covered patio for al fresco, poolside dining. The perfectly proportioned 17' x 34' heated gunite pool is strategically sited for maximum sun exposure. The nearby pool house includes a wet bar to further enhance entertaining options. A great offering built by the esteemed JNS Development Group.